Families can expect lots of fun as specially trained staff present stories, songs, and activities that lay the foundation your children need to get ready to read. We understand that it can be a challenge to fit one more thing into your busy weekday schedule, that's why we offer evening and weekend classes and events for children! All ages with a caregiver. PJs welcomed! 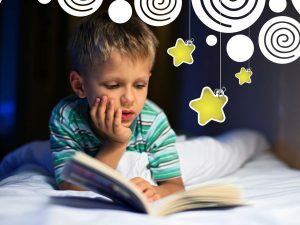 See all Books Before Bedtime classes here. All ages with a caregiver. See all Saturday Tales classes here. For ages K-6. New or experienced readers will love the opportunity to practice their reading with the perfect listener - a Blue Gray Therapy dog! 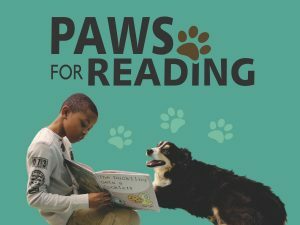 See all Paws for Reading here.